"Freel's Queen" Freel Peak- Lake Tahoe, CA. 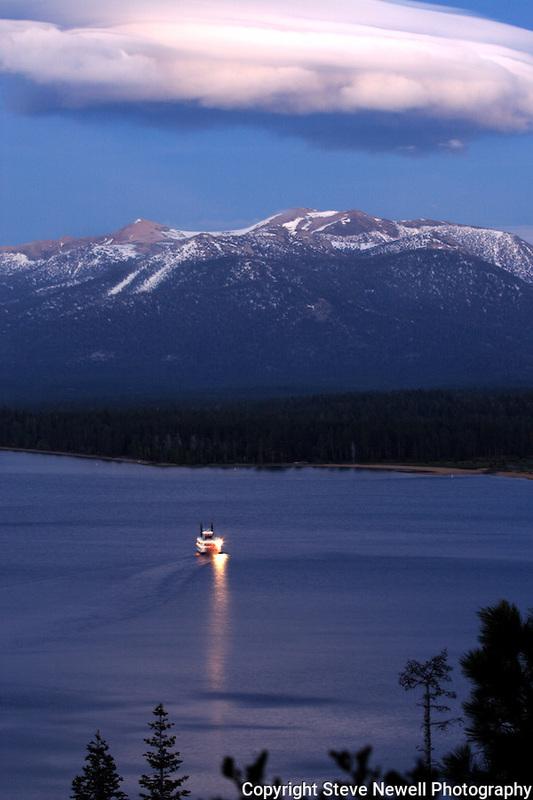 The Tahoe Queen passes by at dusk with Freel Peak in the background. A huge lenticular cloud is breaking apart after a spectacular display throughout the day. The limited edition series of 250 size for this image is 27"x40" which is it's maximum size and comes with a certificate of authenticity.